The US is destabilizing Central Asia by means of drug trafficking, disintegrating Kyrgyzstan and putting pressure on Iran, shared Semyon Bagdasarov, member of the State Duma’s International Affairs Committee. RT: The EU and the US adopted a new set of unilateral sanctions targeting Iran’s foreign trade, banks and insurance companies and energy sectors. Russia has expressed its strong opposition. What move do you think could satisfy Russia? 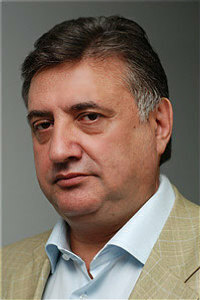 Semyon Bagdasarov: Firstly, to support the list of sanctions approved by the UN. And secondly for Iran to have a more transparent nuclear program. Of course, Russia definitely doesn’t want Iran to have nuclear weapons. Objectively, there isn’t enough transparency in many aspects on their part. This was one of the reasons that Russia supported UN sanctions. But they expanded these sanctions, prohibiting supplies of fuels and lubricants to Iran. I believe it was a wrong move in relation to our country. We’ve been worried about recent talks on possible attacks on Iran or a war with Iran. This is a serious problem. We cannot ignore the fact that they are trying to destabilize the situation not only by economic sanctions but by ethical means also. Iran is a multi-ethnic country of 70 million people. A destabilization attempt is rather dangerous. RT: The US and Great Britain say within a year they will start withdrawing their troops from Afghanistan, despite almost daily reports of attacks there and an increasing number of victims. Do you think Karzai’s government will be able to control the situation without foreign military support? SB: It is obvious that Karzai’s administration is a puppet government managed by occupation forces. This administration is corrupted and isn’t supported by the local population. As for the withdrawal – two dates were set, July 2011 and the end of 2014. Initially, those dates were determined after President Obama’s so-called Afghan strategic policy was announced. It included several points, such as increasing the presence of US armed forces and their allies such as the UK in Afghanistan; implementing programs for winning members of Taliban over to their side; and building up Afghan forces. We see today however that these programs are not working. The Taliban movement has been seizing more control over the territory. Afghan armed forces remain inefficient. American and allied forces keep losing more people. So we wonder whether this policy would result in stabilizing the situation at all. RT: How does the situation in Afghanistan affect stability in Central Asia? SB: There are two factors which strongly affect the situation in the region: drug trafficking and terrorism. A number of politicians in the West and in Russia have, until recently, seriously believed that the presence of the US and allied troops in Afghanistan is good, including for Russia, because the United States and their allies are fighting drug trafficking and terrorism. I always prefer giving concrete facts. In October 2009, the United Nations stated, in a very professional and comprehensive report, absolutely clearly that at the time US troops went to Afghanistan, no drugs were cultivated in the Taliban-controlled areas. An absolute record in this respect, 8,200 tons [of opium], was set in 2007 after the US troops had arrived in Afghanistan. No comment here. Second, in that report Mr. [Luiz Carlos da] Costa, the deputy special representative of the United Nations’ Secretary General who is also the head of the UN Office on Drugs and Crime, said that drugs were not the biggest problem. Can you imagine it, given the fact that 30,000 or 40,000 Russians were annually dying of drug abuse. I think that today these figures are much higher. Europe also has a high death toll from drugs. Terrorism, well, before the US troops came to Afghanistan, we had had absolutely no trustworthy information about the Taliban’s participation in raids in the territories of Central Asian states: near Kyrgyzstan, in 1999 and in Uzbekistan in 2000. On the contrary, we know that those militants infiltrated from the territory of Tajikistan to where they had come from northern Afghanistan which, at that time, was being controlled by the Northern Alliance – a US ally against the Taliban regime. RT: In July, Kyrgyzstan, another Central Asian country, was hit by massive ethnic clashes with hundreds dead. Is there any danger we could see a repeat? SB: You know, back in April I warned about this kind of scenario for southern Kyrgyzstan. First of all, the situation in southern Kyrgyzstan had been intensively destabilized. Second, inter-ethnic tensions are also high in that region. The southern regions of Kyrgyzstan are open to that part of Tajikistan which borders on Afghanistan. And that border is also open. So, those who want to stage provocations and heat up the situation can easily attract militants of all hues. So there were all preconditions for the outbreak of violence. But the world community was pretty much passive. Now we are talking about a death toll of 2,000 and a huge number of injured. Seventy percent of [the city of] Osh’s houses have been destroyed. The worst is that the preconditions for further tension remain, they haven’t vanished. The inter-ethnic tension remains. And still, there are people interested in kindling ethnic tension. These preconditions should be eliminated. Now, there are plans to send 52 OSCE policemen to Kyrgyzstan who are supposed to do something there. But what can 52 unarmed men do? Kyrgyzstan is not Kosovo. If anything happens to these OSCE policemen, orders will be given to bring in armed units to Kyrgyzstan. Who is going to send military units there? Of course, it’s NATO. There’s a US military base in Manas, a French air base in Dushanbe, a 154,000 NATO military contingent in Afghanistan. What’s the problem? If that happens, we will witness a very interesting situation that will resemble the one in Kosovo. By the way, at the end of last year the US Senate held hearings on the situation in Central Asia. Clause 5 of that report described Kyrgyzstan as a failed state which might disintegrate. And the threat of active Western interference according to the Kosovo scenario is realistic. But many in Kyrgyzstan don’t want that to happen. They would gladly welcome Russian troops and meet them with bread and salt, but in no way the Western ones. This is a very serious contradiction, which may lead to serious consequences. RT: Just days ago thousands of secret Pentagon military documents were leaked to the public. Why did it happen? SB: Obviously, there are political groups who raise the question of the ineffectiveness of US troops, intelligence and other services in Afghanistan. And right now, they are deliberately dwelling on the war in Afghanistan in detail to explain that it is useless. They have spent over $400 billion. One American soldier costs $1 million a year. So they spend $100 billion directly on soldiers apart from other expenses which are high as well. And the result is – nothing. That’s why they start raising such questions and giving publicity to various documents relating to the issue. RT: It reveals that probably the American secret services probably know Osama Bin Laden’s whereabouts. If so – why hasn’t he been captured or killed? RT: One of this year’s major political global events was the signing of a new START treaty by Russia and the US. How do you think ratification will go both in the State Duma in Moscow and in America’s Senate? SB: For our part, there have been hearings in the State Duma and the Foreign Affairs Committee. The parties United Russia and Fair Russia support the treaty. The Liberal-Democratic Party is against it. They have a weak argument, but it’s their choice. The Communists are in doubt and tend to be against it too. But all the same, we are gathering votes, but in the end it depends on the outcome in America. Of course there are opponents of this treaty who are sure that it does not comply with US interests. RT: Let’s now go to another part of the world… North Korea, which condemned joint exercises between US and South Korean military forces and has threatened to respond. How dangerous is the situation on the Korean peninsular? SB: North Korea would have been destroyed long ago if they did not have 10 or 12 warheads. Nobody knows whether they have them or not for sure, but it’s enough for military containment for both South Korea and America. That is why they are holding the exercise there. I know little about the North Korean regime, but I definitely know that it’s very archaic and dangerous. It’s a sort of a mixture of the Middle Ages with pseudo-Marxist slogans. This regime is dangerous for the entire world. In my opinion that’s the regime we should take all kinds of sanctions against. And it’s dangerous to threaten them with weapons, because we cannot predict their reaction. And they also have a several million strong army which can cross the border, and this may lead to any number of consequences. It’s an Empire-Monarchy-power which could collapse at any moment. RT: The World economy is slowly recovering and mostly due to the economic growth in Asia, especially in China. How big is Beijing’s role today in global politics? SB: China is said to be the locomotive of the world economy. This is why there are a lot of things that depend on China. We should give the Chinese credit for having created, over the last few decades, a powerful economy that, in addition to everything else, is just round the corner from where we are. Politically, I think, the Chinese are aimed at strengthening their economic might. They are pursuing a very aggressive economic policy everywhere – Central Asia, Africa, and God knows where else – even in Afghanistan. It’s a case of expansion directed at grabbing raw material resources. China is building up its power base, its army too. Presumably they have 100 nuclear warheads more than we believed they had. It’s a powerful army. Prospectively, it is a very dangerous expansion-prone state. All of this is pointing to a possibility that sooner or later they are going to embark on a policy of active expansion. It is dangerous for us too. We say that China is our strategic partner and it is one. But in relation to that partner we should also have powerful armed forces of our own, a powerful economy and be ready for a show of strength too. RT: And the question many Russians and Europeans are worrying about – how real are the chances of a visa-free regime between the two? SB: I think that the EU is concerned over us having a visa-free regime with certain Central Asian states, where drugs and a terrorist threat come from. This is why the Europeans are wary, but basically we should, of course, seek a visa-free regime. It is realistic, but how realistic in the short term is anyone’s guess.